Most consumers today pay bills online for services they use because of the ease and convenience it provides. Insurance Policy holders expect the same and want to go to their Insurance Company's website to make payments and use other functions. However behind the scenes, for a company to be able to provide such online services, it takes expensive and secure servers, programmers and analysts to write code and manage the database, and an IT Department and professional staff to maintain the hardware and the software. 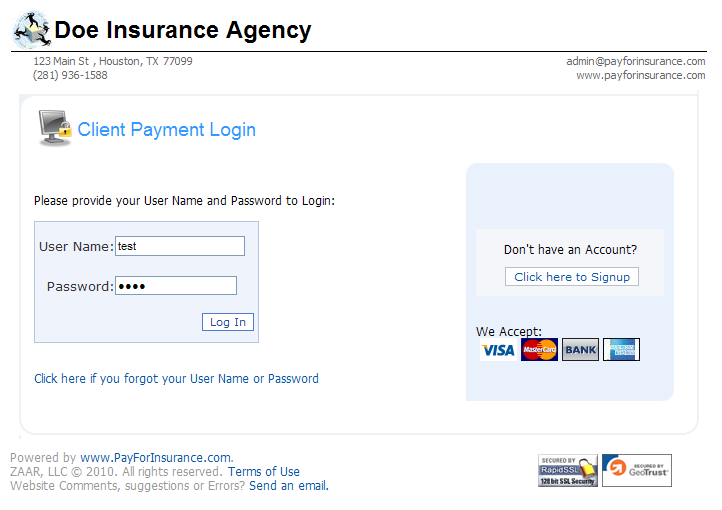 That's why even many Insurance Companies do not provide online payments. With Pay for Insurance, you can easily add all of this starting at only $19.95 per month! And it can all happen within minutes. Just take a simple link and add it to your website, or email the link to your clients if you don't have a website. that you can place on your website. 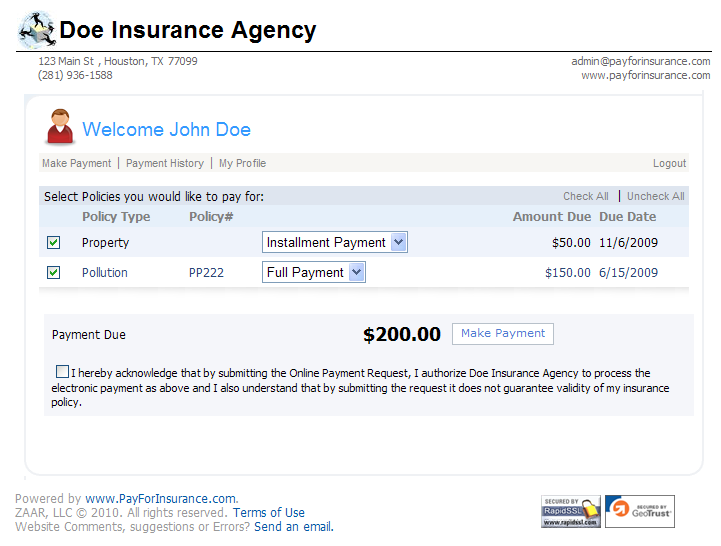 Clients can make payments to your Agency. They can view payment history. Your clients can view/print/save a pdf format receipt. Your client can set getting email reminders before a payment is due.